The original acquisition value of these utilities was $110 million (this number has recently increased to $250 million with additional transfers by the government), with a capital expenditure plan of nearly $400 million in the first five years. Doyon’s parent companies have the financial backing to undertake large privatizations and the ability to raise the necessary capital to renew and replace aging systems. The utilities privatization contract with Doyon Utilities is the largest utility privatization contract ever awarded by the US Military to date, with an initial contract value of approximately $4 billion over the 50-year term of the Utility service contract. This contract award followed a 30-month competitive solicitation process starting in 2004. The utility privatization was the first time that the military utility privatization bundled the utility systems under an “all or none” solicitation. Under the privatization contract, Doyon Utilities assumed direct ownership of twelve utility systems at three US Army bases and operate these under a 50-year utility contract, with associate utility easements. Doyon Utilities became a regulated utility in Alaska at the title transfer date, and as such will operate under a conventional cost-of-service rate base form of rate regulation. 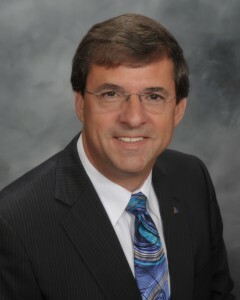 Dan Gavora was appointed President/CEO of Doyon Utilities, LLC in August 2009. He works with Doyon Utilities’ Management Committee to provide corporate leadership as well as oversight for day-to-day operations.